Happy New Year, music fans! Generally, I like to swap calendars and reward myself with some new tunes. You know, give a band I’ve been meaning to get to for years a shot and see if they make the rotation. In 2018 however, I was inspired by a friend to go back to some absolute classic albums and determine where they fit in the all-time record books. Today’s artist and album are a standard, so off I’m to a good start! Peter Frampton was born in Bromley, Kent, U.K. in 1950. His father was a high school teacher and head of the art department. Peter first took interest in music around age 7. His grandmother played banjo ukulele and Peter found it in the attic. Without any lessons, he taught himself to play—which lead to also learning guitar and piano. With his dad feeling Peter had some talent, his parents got him classical music lessons beginning at age 8. By 12, he formed his first band called The Little Ravens. As it happens, his dad had a pupil named David Bowie who was a few years older than Peter that attended his dad’s school. They would compete in various battle of the band type shows through the town, becoming friends. Around 16, Peter joined a band called The Herd, which would have a few hits and Peter was named “The Face of 1968” by a teen magazine Rave. Moving on to a band titled Humble Pie, he’d cement his place on the music scene, but feeling the best was yet to come, decided to try a solo career. In 1971 Peter branched out and began putting out his own material. 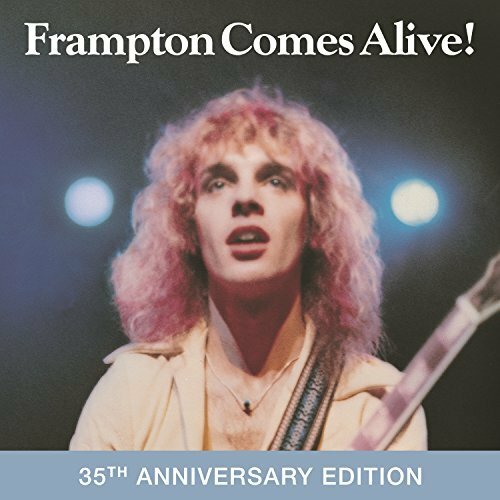 After a fairly slow start, Frampton’s career picked up some steam in 1975 with his fourth studio release—now certified Gold (his first record certification). This led to a massive touring grind, with Frampton playing shows nearly every day all around the world. Somewhere along the way, someone had the bright idea of recording the live shows, feeling they had something the studio recordings just didn’t capture. 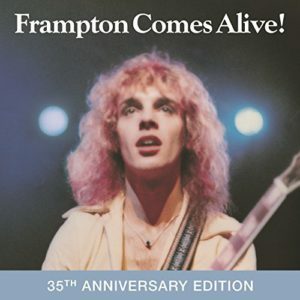 On January 6th of 1976, Frampton Comes Alive! was released combining live tracks from four different shows spanning June through November of ’75. It was one of the first albums in music history in which very little was added in the studio, and what you hear is what the audience heard. It was released as a double album, which was also rare, and only priced at one dollar more than standard records—a bargain for so much content. It was a hit, reaching number one by April on the Billboard 200, holding the top spot for nearly three months. To date, it’s 8x platinum in the states with nearly 15 million copies sold worldwide. Sometimes live shows can be a swing and a miss—the audio can be messed up, the tempo of music changes too much from the studio version of the song and fans don’t really get into it. This couldn’t be further from the truth with Frampton. The album showcases his talents and the extra riffing beyond the normal three-minute songs makes for such a better feel. This album really caused his ‘talk box’ to take off as well, something that would remain a signature for Peter to this day. It may feel a little gimmicky to some, but live in person; the effect comes off with an outstanding impact. Critically, this always shows up as one of the best live albums of all-time on virtually any list. For people my age, this was likely how you were first introduced to Frampton, and for me, that’s a good thing. His studio stuff was good, but this is great—and even led me to see him a few times in concert. When you can pick up a rock staple for $5.99, you should always do it—but if you decide to make a resolution like I have, to go back and listen to some of the most iconic records in history, this is a home run. I’m not sure if it’ll quite make my personal Top 10, but it will no doubt help show me the way.